Looking to Buy Wrecked Motorcycle for Sale? Read This First! Buying a wrecked motorcycle for sale might be an effective way to own any motorcycle you want without having to bear the excruciating price of a brand new machine, but it is also equally important that you know what lies ahead. Many people jump the gun when they look at the prices of wrecked motorcycles for sale, only to later realize that they don’t know what to do next. So, to help ensure that doesn’t happen with you, we present an overview of all you need to do before you put your money down on a wrecked motorcycle for sale. Read on. Most of the options in wrecked motorcycles sale require repairs before they can be deemed road-ready. A common mistake people make when buying wrecked motorcycles for sale is that they jump the gun too soon. The moment they see their favourite motorcycle at an unbelievably low price, temptation takes over, which makes the repair concern take a backseat. Before placing your bid, thoroughly research the cost and feasibility of repairs in your area. Things can look different in images. While every leading websites offering wrecked motorcycles for sale provides detailed information about the options listed with them, they also give buyers the option to visit their yards for inspection. While it is an optional paid service; one, the fee is quite nominal, and two, it helps ensure you get exactly what you see. You can also hire an auto service professional to carry out an inspection for you and provide an estimated repair cost. Insurance is another key item that must be on your list of considerations when buying a wrecked motorcycle for sale. 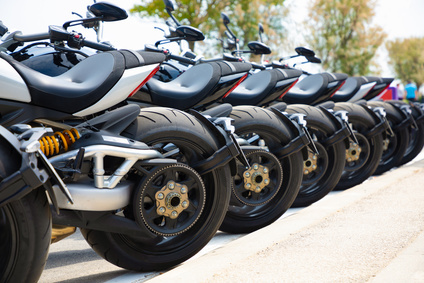 As most of the motorcycles listed in such auctions have been deemed as “total loss” by their last insurance companies, you may have to check with a few insurers before you are able to find one that is ready to offer insurance coverage for a repaired wrecked motorcycle. Investing in a wrecked motorcycle for sale can be an exceptionally cost effective proposition provided you have the eye to find diamonds in the rough, and know the way to bring it back to life. Be it a classic Harley Davidson or the latest Ducati, you can find them all in the wrecked motorcycles for sale listed at SalvageBid.com, and that too at unbelievably affordable prices. Placed among the most trusted names in the business, SalvageBid.com is the place to be to buy your dream motorcycle without having to break the bank. If you have any questions, simply call +1 (360) 347-1300, Monday to Friday, 6am to 3pm (PST).